The Watchkeeper / Flotilla Skipper. 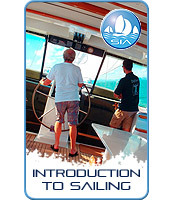 This is an introduction to a Navigation and Seamanship Course and is available at our Sailing Schools in Phuket and Pattaya. 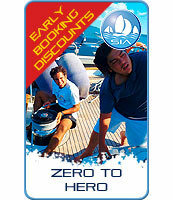 Students must be able to sail before enrolling on this course as there is only time to teach the course core subject material not an International Crew Course. The Watch Keeper is a basic entry level qualification that is 2 days theoretical and three days practical with a VHF Radio Course included. 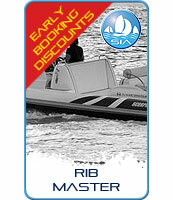 This intermediate course is for those with some sailing ability, it is not a beginner’s course. 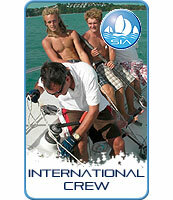 Normally you should hold the IYT International Crew certificate, or some similar level qualification before applying to do this course. This is the first level of training where we get serious with the theory needed to safely and competently sail a small yacht. You’ll study basic navigation and a range of supporting material like tides, weather, reading charts and how to pilot a yacht. This means that even if you are quite an accomplished sailor, if you have not previously studied the theory, this is the place to start. Full details of the subjects you will study in theory and the skills and techniques you will practice are at the bottom of this page. Although there is a significant theoretical component that doesn’t mean just sitting in a classroom. Watchkeeper is very much a hands-on course that teaches you by getting you out there on the water, practicing what you have just learnt (in our comfortable, air-conditioned classroom. Our experienced instructors will guide you through the course ensuring you have a rewarding and enjoyable experience as you learn. 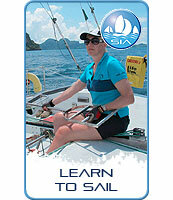 As well as practicing your Watch Keeper skills you’ll get further practice in sailing and handling the yacht. You need to consistently improve and build on these skills as you progress through the training scheme. This is the first level at which you gain some command skills - so it’s a big step. 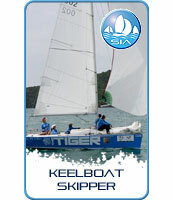 The course is called IYT Watchkeeper / Flotilla skipper not just Watch Keeper and it will qualify you to skipper a yacht alone, if that yacht is travelling in an organised and supported flotilla (a popular format for sailing holidays in many areas of the world, for example the Mediterranean and now in SE Asia, in Phuket, Thailand). 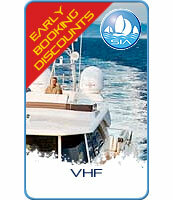 Our Flotilla Sailing Holidays have been set up with the people completing this course joining a managed fleet of yachts. 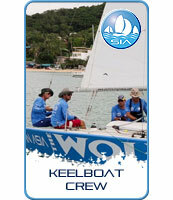 The fleet sails under the guidance of a lead boat with an instructor and engineer on board. Check out this next step course if you think it sounds interesting. Once you have passed the Watchkeeper / Flotilla Skipper course you are eligible to apply for the International Certificate of Competence (ICC) although there is an additional theory test to sit. What's required: Sun protection. Sun hat. Shorts that cover the knees when sitting are best. Footwear for on-board tennis shoes / trainers / Crocs. Some people like to use gloves. Lightweight wet weather clothing.